Kingsford Sons of The American Legion member Tom Gayan, left, presents the check to Kingsford American Legion commander Lewis Adams. Kingsford Legion and Sons of the American Legion members, from left, are Ian Powell, Terry Vanpembrook, Conner Hansen, Dan Chapman, Myron Fetterly, Bill Reynolds, a kneeling Riley Hansen, Gary Chapman, Paul Taff and Doug Powell. 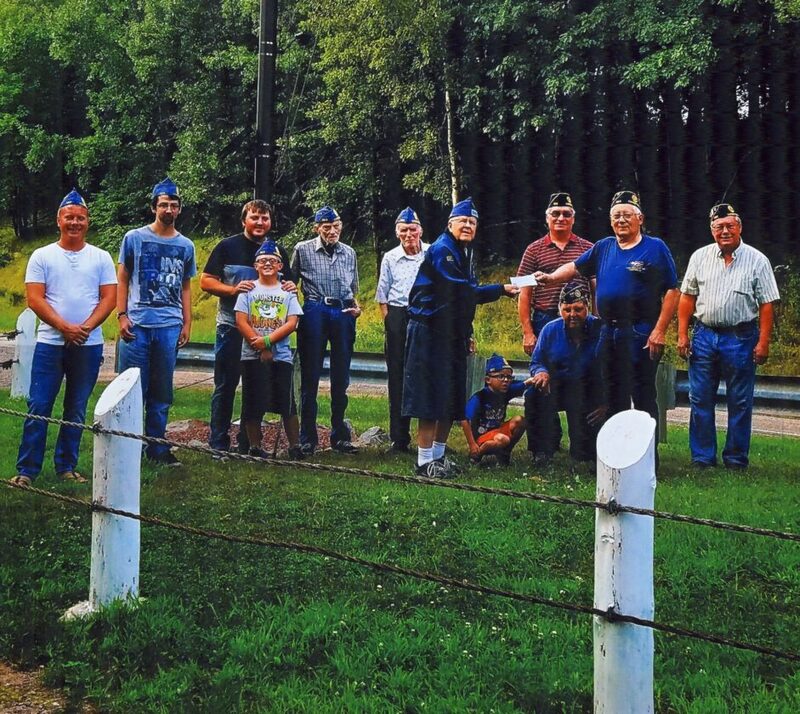 The Kingsford Sons of the American Legion recently donated $1,000 to help finance putting up a flag pole at the Bert Carpenter Memorial at Badwater. Bert Carpenter was the head engineer for the Dickinson County Road Commission in building the Badwater Bridge between Michigan and Wisconsin more than 100 years ago. Carpenter died at sea in World War I.